Nokia: Doctors could soon operate remote surgery to patients from other countries! Nokia aims to improve the healthcare industry using 5G network infrastructures. Rajeev Suri, CEO for Nokia, claims that future technology could soon open wider and more advanced possibilities for the healthcare industry. Thanks to 5G and IoT (Internet of Things), doctors could soon remotely operate surgery on patients from other countries. Suri also believes that technology could soon detect cancer “several months” before it occurs. During the World Economic Forum in Davos, Switzerland, Rajeev Suri outlined his vision for the future medical treatment which includes remote surgeries, 5G ambulances, and miniaturized wearable scanners. With help of 5G network connectivity and robotics, a medical professional would be able to carry out remote surgeries on patients from other parts of the world. 5G network will allow real-time feedbacks, that means there will be no time lag in the data flying across the globe. “Imagine a doctor in Chicago doing an operation for someone in Taiwan using robotic surgery. You want the doctor to feel immediate feedback to what the robot is experiencing,” he said. The firm is also working with China Mobile Research Institute on 5G ambulance that will be able to make a diagnosis on patients and transfer all the information to the doctors before they even arrive at the hospital. 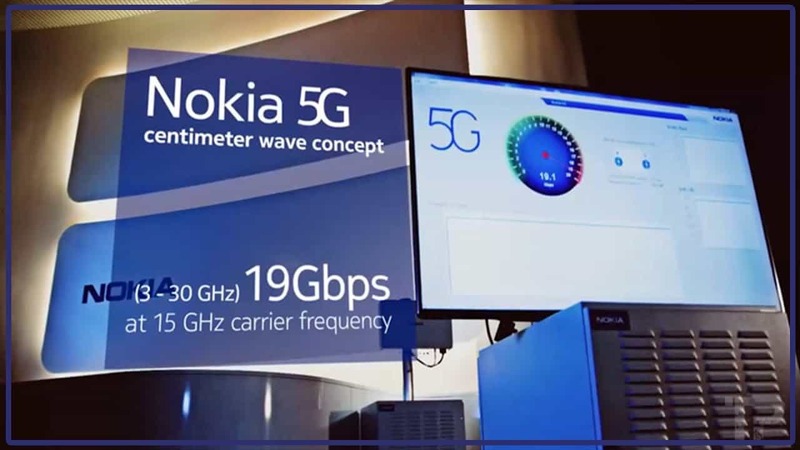 Nokia, after leaving the phone industry, switched focus on delivering 5G network infrastructure that they believe will open and improve a wide array of technologies related to virtual reality and digital health. Rajeev Suri also announced that they are working on a wearable sleeve that has embedded chips that will allow scanning health-related information from the user such as cholesterol, lactic acid levels or glucose. Wearing such device will “fill the void” between doctor appointments, allowing medical professionals a continuous access to such information.